New Balance expands their 574 series with a new take on the MS574STP rendition releasing in a spring-friendly Pink and White color scheme. This New Balance 574 feature a Pink suede upper with mesh detailing on the tongue, toe area and collar. White contrasting accents atop a fresh foam cushioned sole completes the design. 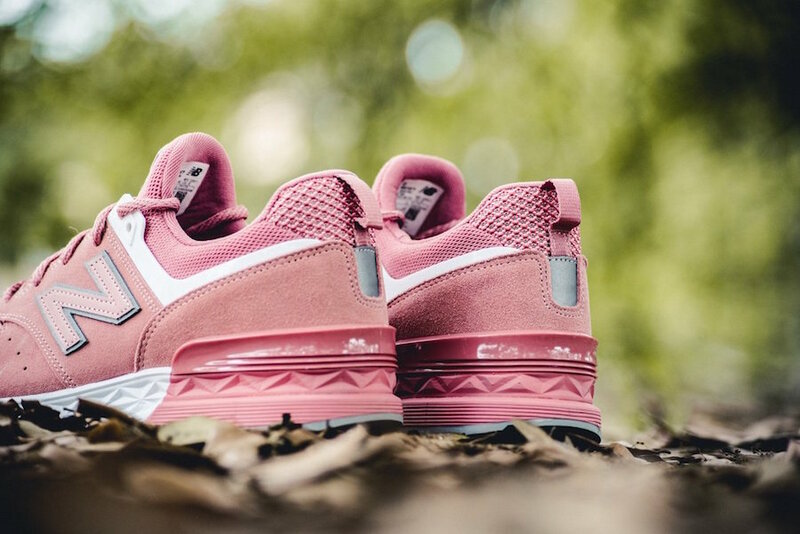 Check out the detailed photos below and look for the New Balance 574 Pink Suede available now at select retailers such as Sneaker Politics. The retail price tag is set at $110 USD.